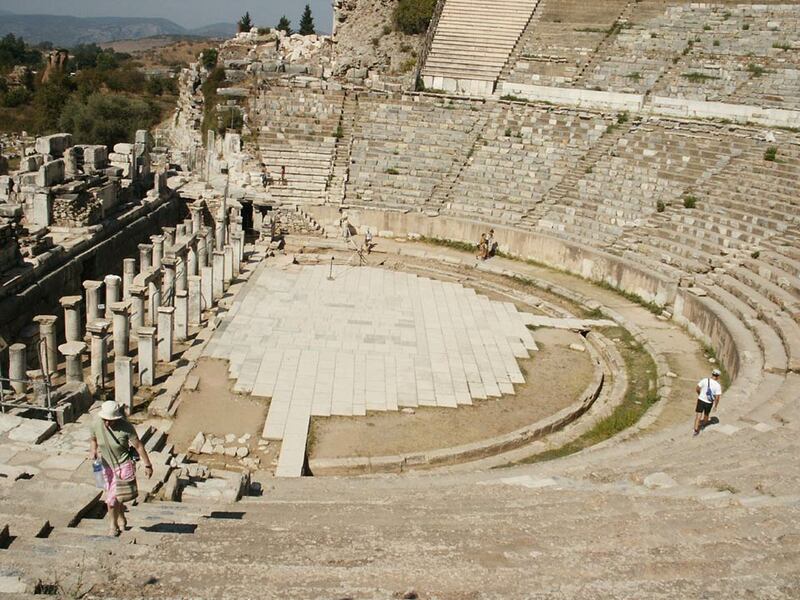 Ephesus was one of the great cities of ancient times and its ruins are some of the best in the world. The city really got its start around 450 bc. under the Greeks. Later it became an important part of the Roman empire. for city council meetings. The stones in the theater are very slippery and I fell and gashed up my arm. 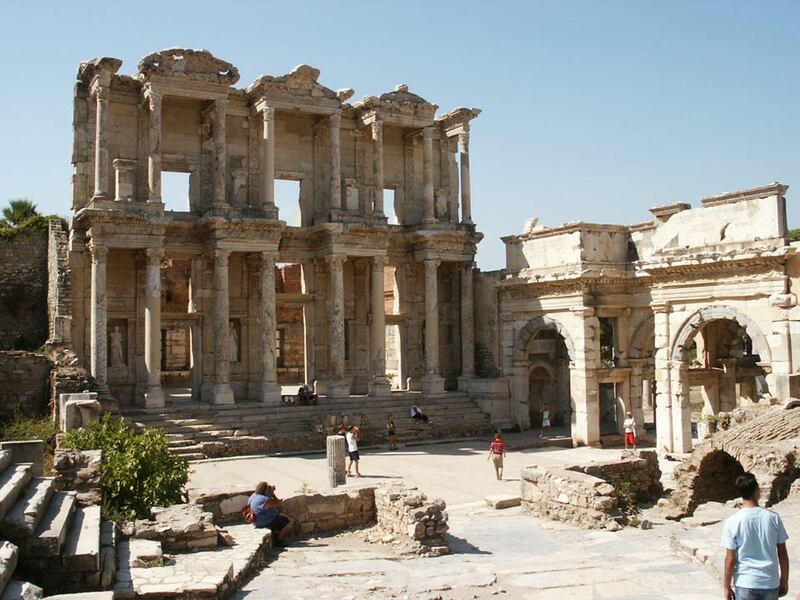 Some of the most famous ruins, the front of the Library of Ephesus with the Mithridates gate to the right. 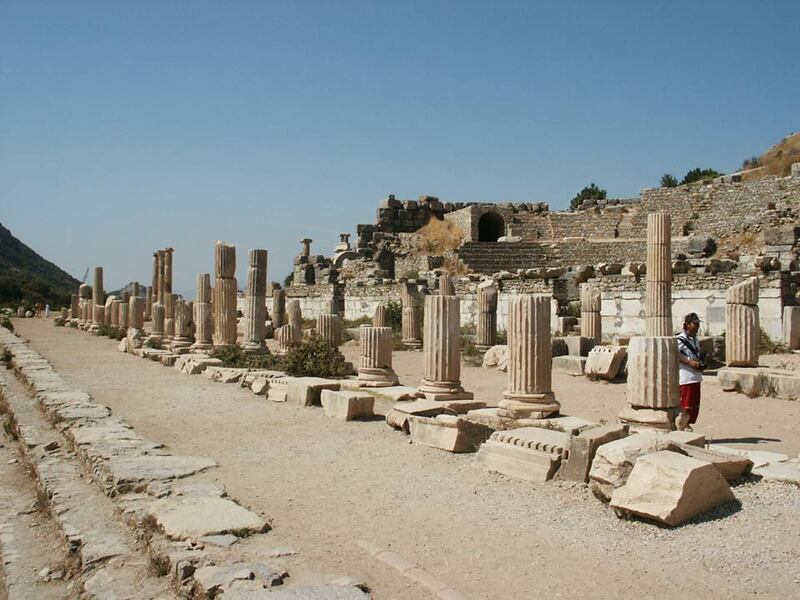 The Library dates from around 125 AD, while the Gate dates from the 4th century BC. 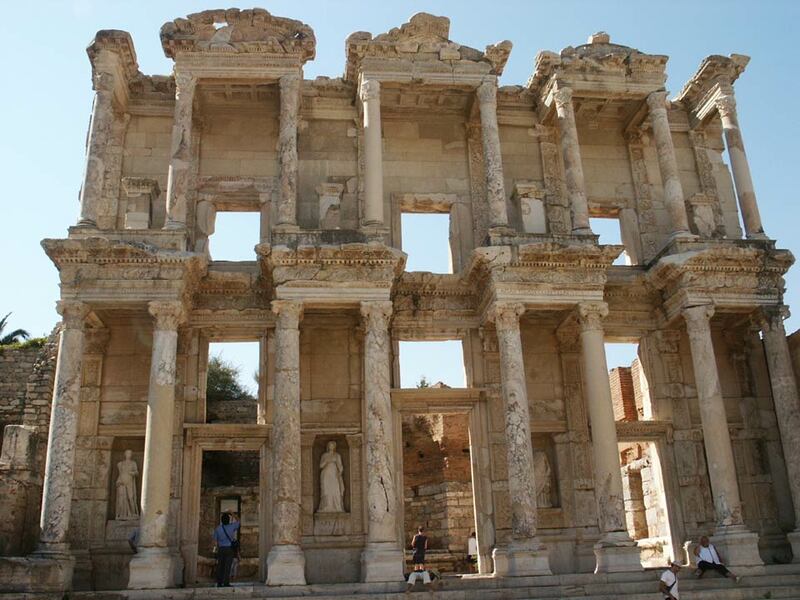 The front of the Library of Ephesus. 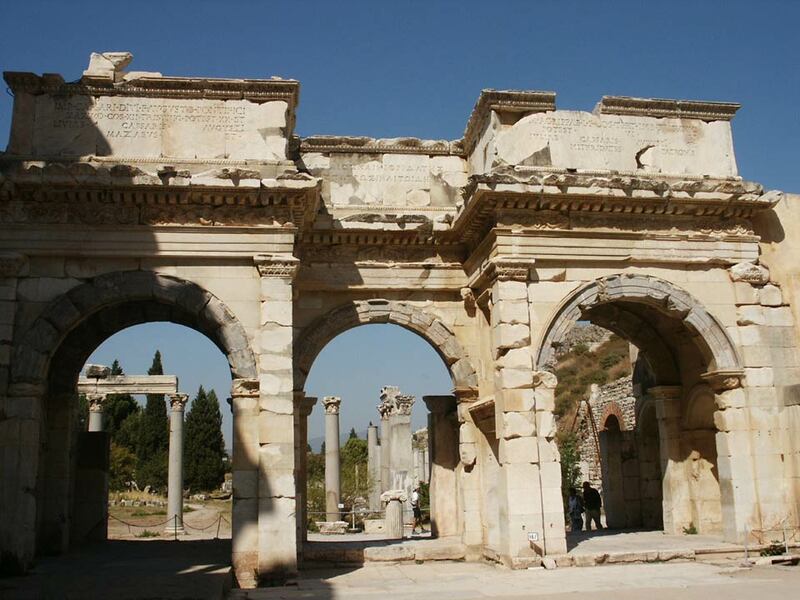 A close up of the Gate of Mithridates. The Marble road leads from the Library down to the Grand Theater. Sonya climbing up the Grand Theater. 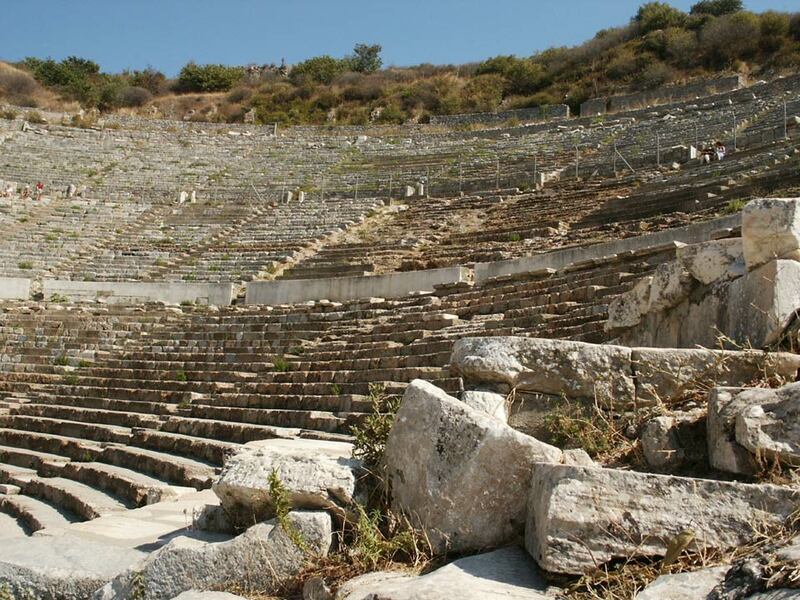 The Grand Theater dates from around 100 AD and could seat 24 000 people. Looking up towards all the seats. 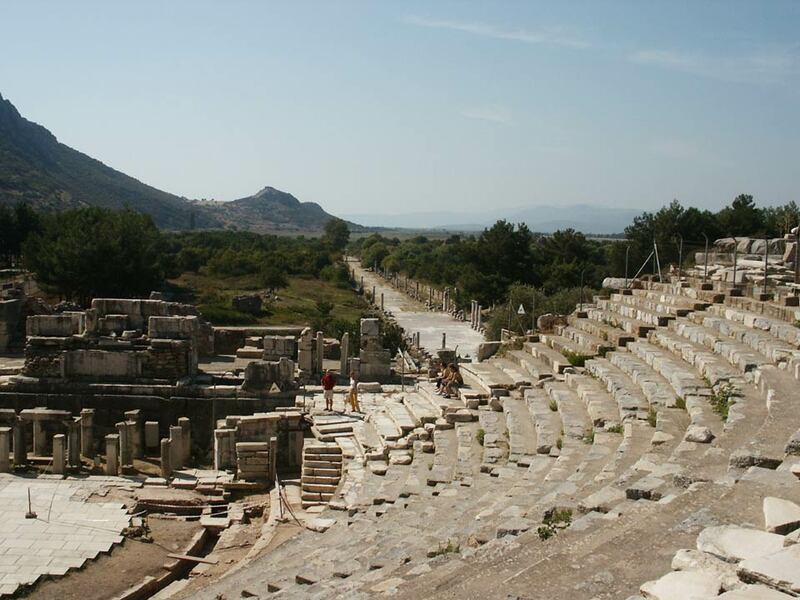 The ancient amphitheaters were often built in places that had magnificient views of the surrounding countryside. 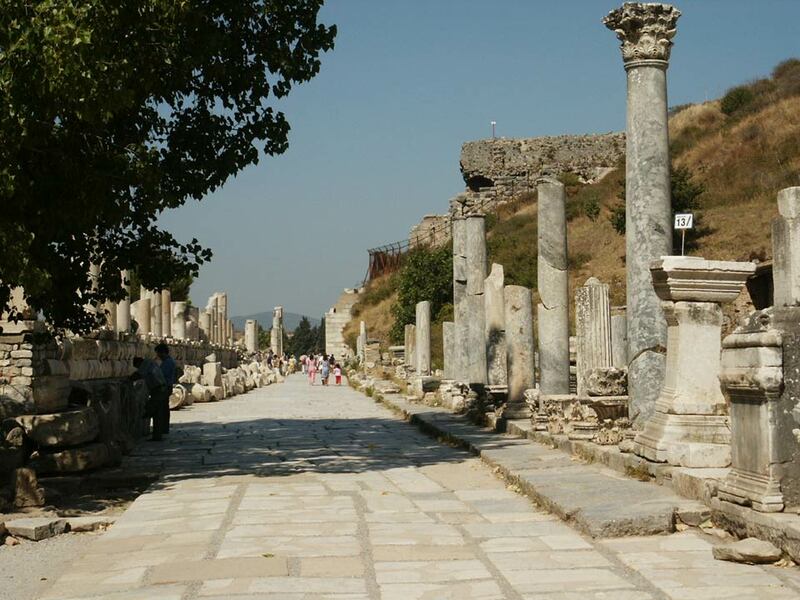 This picture shows another ancient road leading to the theater as well as the view over the country.